"Sampath Speaking" - the thoughts of an Insurer from Thiruvallikkeni: NASA astronaut Randy Bresnik ~ fidget spinner on space !! 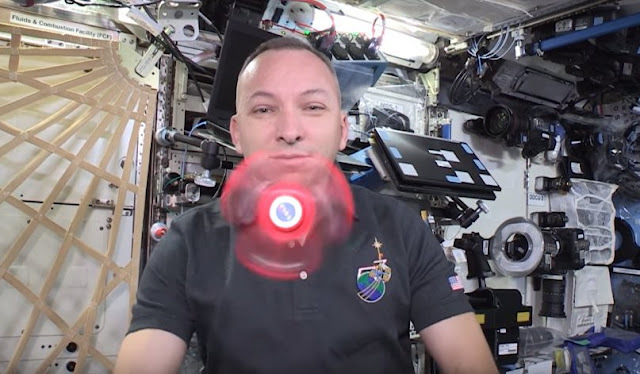 NASA astronaut Randy Bresnik ~ fidget spinner on space !! Randy “Komrade” Bresnik was selected as an astronaut in 2004. He was commissioned as a Second Lieutenant in the U.S. Marine Corps in May 1989. During his military career, he became a F/A-18 Test Pilot and was eventually deployed to Kuwait to fly combat missions in support of Operation Iraqi Freedom. 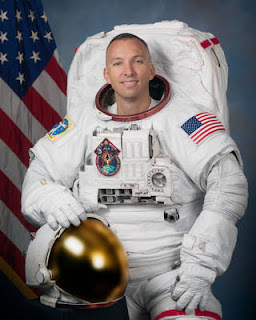 A veteran of STS-129, he has also trained as a Cave-a-naut with the European Space Agency to test living deep beneath the Earth’s surface as well as an Aquanaut for NASA’s Extreme Environment Mission Operation (NEEMO) 19. Bresnik is currently a part of the Expedition 52/53 crew that launched in July 2017. On October 5, 2017, Bresnik performed his third spacewalk, along with Mark VandeHei. Away, these gadgets have taken the children space by storm. They came out of nowhere, and they're already so hot that schools are banning them – it is the ‘fidget spinners’, the biggest fad of 2017. These decidedly low-tech devices have become a must-have for kids, to the point where they're an even more popular topic anything else. The spinners are simple (and cheap) gadgets that spin in your hand. They come with an inline skate and ball bearings, and can spin for 2 minutes or more while you're working, hanging out with friends or trying to relax. 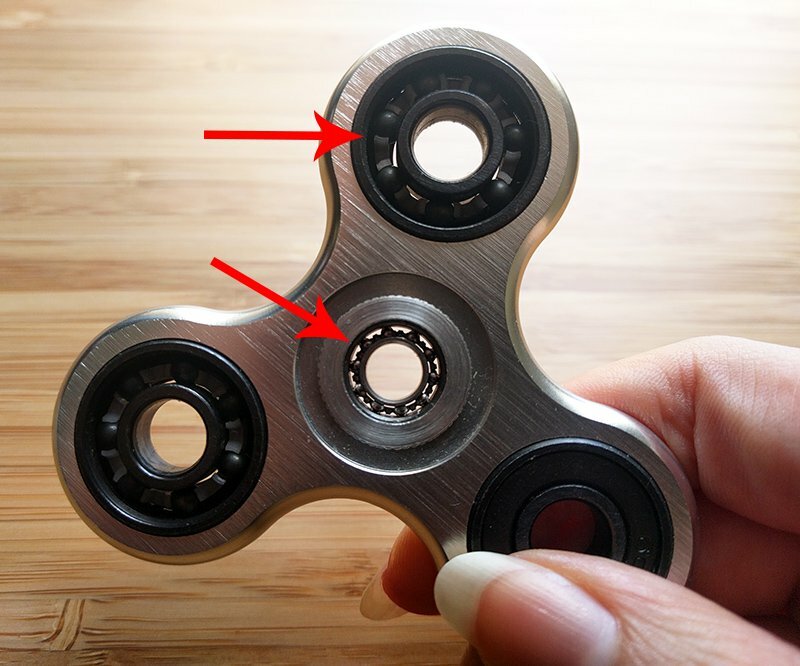 In case, you have not seen or played around, inside the three-spoke fidget spinner, is an area you hold with a finger and thumb. Then, with another finger, you flick one of the spokes and let the spinner spin !the toy consists of a ball-bearing in the center of a multi-lobed flat structure made from metal or plastic designed to spin along its axis with little effort. Fidget spinners became popular toys in April 2017, although similar devices had been invented as early as 1993. Whether it can really relieve people of their stress is not for sure, however, they are used even on International Space Station, makes an interesting news !! Sciencealerts.com reports that astronauts on the ISS have finally got their hands on what was briefly the trendiest contraption in our part of the universe. And watching it spin in microgravity is enough to make the toy look cool again. NASA astronaut Randy Bresnik, who is currently aboard the space station as part of Expedition 52/53, shared a video over the weekend of him and his colleagues playing with a fidget spinner.The team performs a series of tricks with the NASA-branded (of course) spinner, pretending to spin along with it in various directions as they float through the microgravity of the space station.For example, flight engineer Mark T. VandeHei holds the fidget spinner while he himself does full rotations along a horizontal plane; another crew member Joe Acaba does dizzying somersaults while the fidget spinner rotates in his hand. But as fun and nauseating as that is to watch, the best part is, of course, seeing the fidget spinner freely floating through the air while continuing to spin. You can even see the iconic toy floating against a backdrop of Earth as seen through the ISS cupola windows. .. .. ….. andas it turns out, microgravity does make a fidget spinner act differently than what we can achieve down on the ground. "In a fidget spinner, you hold the centre of one ball bearing, the outer bearing race spins around, and the outer parts of the fidget spin with the outer bearing race," physicist Paul Doherty from the Exploratorium in San Francisco explained to Live Science earlier this year.The smoother the action in that central bearing race, the less friction there is and the toy can spin for longer. But in space, the centre part doesn't stay still. "Allowing the fidget spinner to float reduces the bearing friction by permitting the rate of the central ring and outer spinner to equalise, and the whole thing spins as a unit," NASA explains in the video description. Indeed, if you watch closely when Bresnik lets go of the spinner and lets it float around, you notice that the NASA logo stands still at first, but quickly starts rotating along with the rest of the device.Now, at first you might think that in space a fidget spinner would spin for much longer, but as it turns out, there's still plenty of friction happening in the central ball bearing to make the spin eventually slow down. Interesting little play thing !